Looking to upgrade your Canadian Tuxedo with some one-of-a-kind pieces? Look no further than the Levi’s eBay auction, supporting the Red Tab Foundation, a nonprofit that helps Levi Strauss & Co. employees and retirees who are unable to pay for basic needs due to financial emergencies. 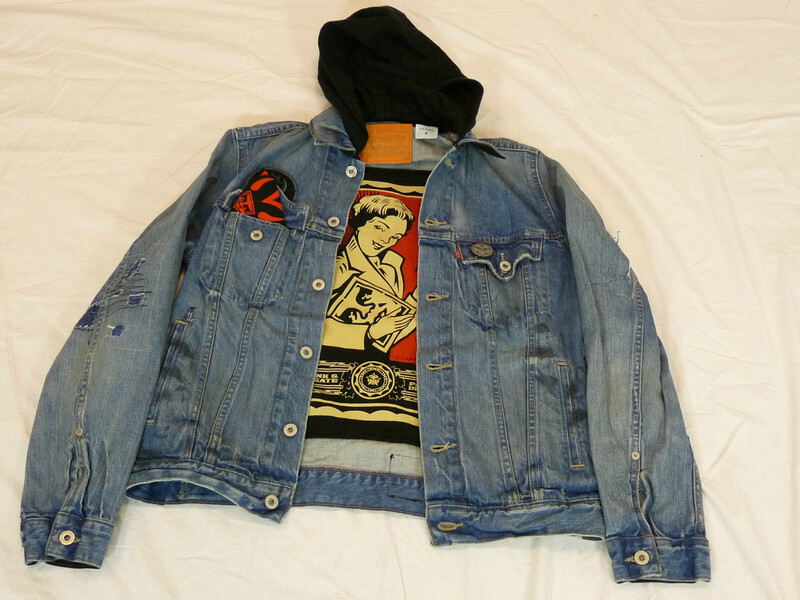 From jackets signed by the Rolling Stones to bedazzled denim pants made for ‘N Sync to this Shepard Fairey jacket I’m totally obsessing over – denim + street art ??? – there’s something amazing to be had. Click here to visit the auction, which closes on June 11, 2012. This entry was posted on Tuesday, June 5th, 2012 at 6:56 pm	and tagged with 'N Sync, Canadian Tuxedo, Denim, eBay, Fashion, Justin Timberlake, Levi's, Red Tab Foundation, Rolling Stones, Shepard Fairey, Vintage and posted in Good Causes. You can follow any responses to this entry through the RSS 2.0 feed.